Beattie and the twins, Zelda and Mimi, are mermaids. Beattie is enjoying a nice summer on the beach with her new legs, when she gets a letter. 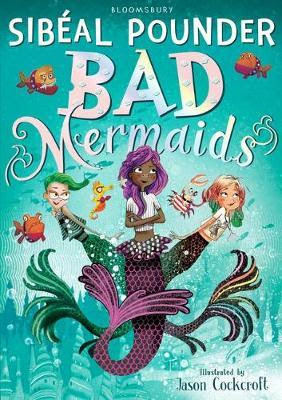 There are bad mermaids on the loose and Beattie is the only mermaid in the lagoon who can stop them! Zelda and Mimi too, of course. Join Beattie and her friends on an epic journey through the lagoon, trying to catch the mysterious Swan and not get eaten by piranhas on the way. I thought that the best part of the book was when Beattie figured out the secret identity of The Swan which wasn’t who I expected it to be. I was on the edge of my seat throughout the whole book. I really enjoyed this lovely tale about some fish in the sea, and I recommend this intriguing book for girls aged 9 – 13.